I want the Rangers hat to be white squatchee, blue crown, red bill. Sure, it breaks The Rule, but so does being the Texas Texas. How they'll look on the field. I feel bad for his neck. Not bad, but the striping really should continue down onto the pants. Hecken just tweeted out a pic from the A's Fan Fest. Those side panels that are on the Astros/D-Backs new jerseys are on the A's new jerseys. The COOLBASE underarms gusset is no more. The new sidepanel template appears to be the league-wide template. And is FLEXBASE the COOLBASE replacement? So all jerseys now have sidepanels running the entire length? That better not mean those areas aren't covered with pinstripes when applicable. They aren't. Rockies new jerseys. And a tidbit another tidbit from the Astros Authentication Manager Mike Acosta: the new BP hats will essentially be flipped version of the previous one: blue with orange bill. And he reiterated that the Astros won't have a BP jersey. Are you :censored:ing kidding me? We expect this from the NFL, as football has tolerated manufacturers destroying their look for years. But it's awful that so many teams are going to accept having blank side panels on pinstriped jerseys for no reason. No, it's not a "technological advantage" to have blank side panels. It won't enhance performance. At least we still have the Yankees in doubleknits. I wonder if Toronto will get back on board with COOLBASE. They went all-doubleknit in the rebrand because the players didn't like the COOLBASE. And the Yankees did finally partially succumb to COOLBASE, for their road jerseys last year. Here's to hoping their pinstripes never change. Here is the link to the pics from the A's Fan Fest. You get a really good look at the new template's backside in pic #5. Mesh tail. Call it the Sweat Tail? Yikes! Not feeling those side panels at all. I really hope some teams hold out like they did with the Cool Base. The old BP was the Sunday alt, but it was abandoned briefly when the Astros realized that maybe, just maybe, they shouldn't wear BP jerseys for real games like some kind of GD minor league team. So they go and essentially replicate the BP with the team name for Sunday games. And while they might say the true "BP jersey" is gone, there is little chance that MLB and Majestic would allow a team to toss out a revenue stream (the BP jersey). Until they prove otherwise, that new jersey is the BP jersey, brought back into Sunday service. Major step backwards. And without seeing it up close, it is either the BP jersey material or the new "upgraded" COOLBASE like Arizona has for their new stuff. It's definitely not the standard Majestic jersey template. Everything about the new 2016 Majestic MLB line is disappointing. If what we have heard is true about the '16 line. I couldn't agree more about disappointing. It might also explain why Majesticed jack BP jersey prices. Let's face it- BP jerseys are cheaper than game jerseys- BUT the 2005-2006 BP jerseys were made out of the same coolbase material that game jerseys are right now. The only thing different was some design changes, but that is where the armpit gusset was introduced. So- the Yankees and the Jays don't use coolbase. Will they change? My problem with these side panels is if we've already seen that sublimated mesh side designs are possible (DBacks, Astros), why can't they just sublimate more pinstripes? It's stupid not to. 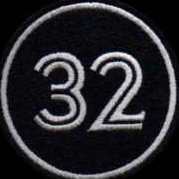 Was it the players choice or the extra heavy-3D Jays logo patch? In regards to the Cubs' pinstripes, they should be able to, but they might not see a need. Remember: Majestic produces one shade of grey now, and it took them 3 years to make that shade in the first place. The Yankees' pinstripes are different, since they are woven into the material. But then again, the Yankees will probably show up on Opening Day in doubleknits. That Brewers jerseys is pretty nice. And it is the new template too. You can tell from the back of the jersey peaking through on the bottom. The original article on it from MLB.com said it was players' preference (I linked it once before, I'll try to find it again). Someone on the board here originally posited that it was REALLY due to the patch, and it took hold. The Phillies have a giant patch across the front of their COOLBASE jerseys and it isn't a problem, so the Jays' patch-as-a-reason seemed a bit overblown to me. Sigh. The Brewers are a really, really bad organization. We need to round up the Brewers, Padres and Chargers and shoot the collective teams into outer space. Um, really Milwaukee? You mostly just copied what Seattle did last season, except you're using a faux back cap. OOOOOK, then! Wipe your entire lineup of jerseys and hats, except for the faux backs and wear them full-time. You have the cap, now make a road jersey to match, and heck, let's be generous, a blue alt that can be worn at home or on the road. IT'S NOT HARD!